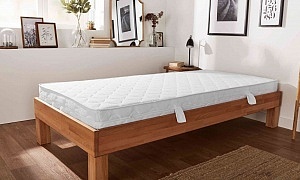 Adjustable Beds Funding, Consumer Rights And Contacts - Which? In this guide we explain financial assistance, your consumer rights, and list some other useful organisations you can turn to for advice. 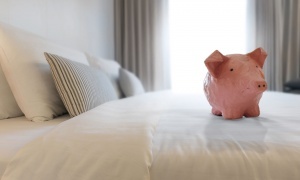 If you think an adjustable bed might be right for you or your relative, it's worth finding out whether you're eligible for any funding before parting with your cash. If you or your relative has been assessed by the local health authority as needing an adjustable bed, you may get one provided for you. This is likely to cover only current needs (ie no luxuries or unnecessary features). If you receive direct payments for care, you might be able to put these towards the cost of an adjustable bed. The VAT should be taken off the product at the point of sale. This is usually done by completing and signing a form which states that you are eligible. Most retailers selling adjustable beds should have this form, or be able to direct you to it. You can also get a copy of the form from the Gov.uk website. For more information about the rules, see the Gov.uk guidance on financial help if you're disabled. To find out about other products that will make life easier, check out our mobility scooter reviews and riser recliner chair reviews. 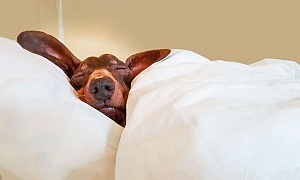 If you are buying an adjustable bed, as with any other product, you have certain consumer rights. Under the Consumer Protection from Unfair Trading Regulations, retailers are not allowed to use misleading or underhand tactics to get you to part with your cash. They can’t lie about products or fail to tell you something important that might affect your decision to buy. Products have to be as described. For example, they can’t tell you that the bed will cure your arthritis, eliminate pain or lead to an undisturbed eight hours sleep every night. Whether you are buying in store, online or from a salesperson in your home, you are protected by the Consumer Contracts Regulations. By law, retailers have to give you certain information about the products you are buying. You also have a right to cancel an order for goods, starting from the moment you place your order and ending 14 days from the day you receive your goods. If your adjustable bed is faulty, or develops a fault, you have rights under the Sale of Goods Act to get a refund, repair or replacement. For more information, check out our consumer rights guide, What do I do if I have a faulty product? Royal College of Occupational Therapists (RCOT): occupational therapists (OTs) can help people overcome the effects of disability caused by illness or ageing so that they can carry out everyday tasks. Contact the COT to find an OT in your area. Theraposture offers a 14-day money back satisfaction guarantee on Age UK Adjustable Beds: you'll need to place a deposit of £100 with the intention to buy, to qualify for this trial period. If after this period you feel the bed is not right for you, the bed can be returned and your deposit refunded in full. British Healthcare Trades Association (BHTA): the BHTA is the largest trade association for suppliers and manufactures of mobility/homecare products, including adjustable beds. Contact the BHTA for details of its TSI-approved code of practice and to obtain a list of members in your area. Disabled Living Foundation (DLF): you can contact the DLF for impartial advice about independent living, assistive technology and daily living equipment. It also has a demonstration centre where you can try out equipment. National Bed Federation (NBF): the NBF is a trade association for bed manufacturers. Members must abide by the NBF code of practice. Contact the NBF for details of the code and approved members in your area. Which? Later Life Care has a guide on financing care at home.